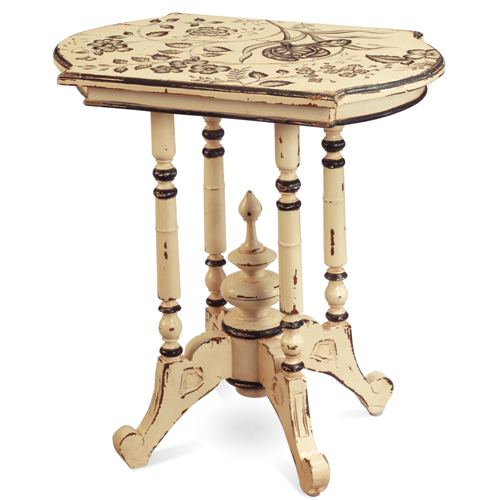 Small side table that certainly draws the eye. Shown in Wheat Berry Heavy Distressed on the main body, Black Heavy Distressed accents and Floral Artwork A14 painted on the top. Artwork applied according to artist's discretion. Handcrafted from solid premium mahogany.